Jaded Blossom: Guest Designer, Melissa! Happy Sunday to you all. This is Melissa from M Miranda Creations. I want to send a huge thank you to Candace and Michelle and all of the DT at Jaded Blossom for giving me the opportunity to be today's Guest Designer! As Christmas approaches, I am in need of gift bags of all shapes and sizes and I thought you might be too; so I decided to make this super cute gift bag for some holiday inspiration. 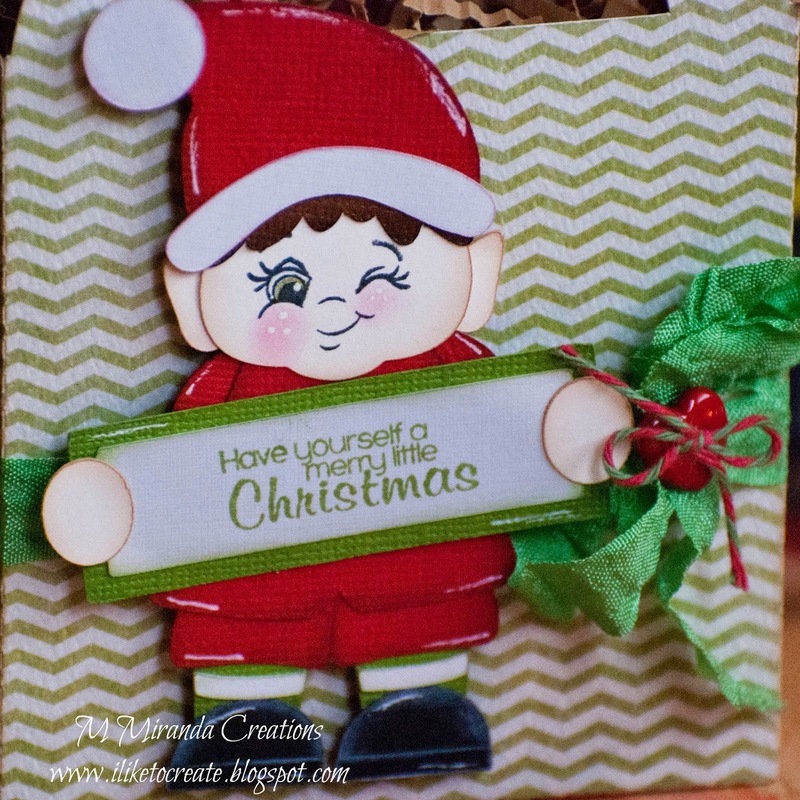 I used the Jaded Blossom Christmas Wishes stamp set for my sentiment. And the bag is from SVG Cutting Files. You can stop by my blog for details on any other supplies used. 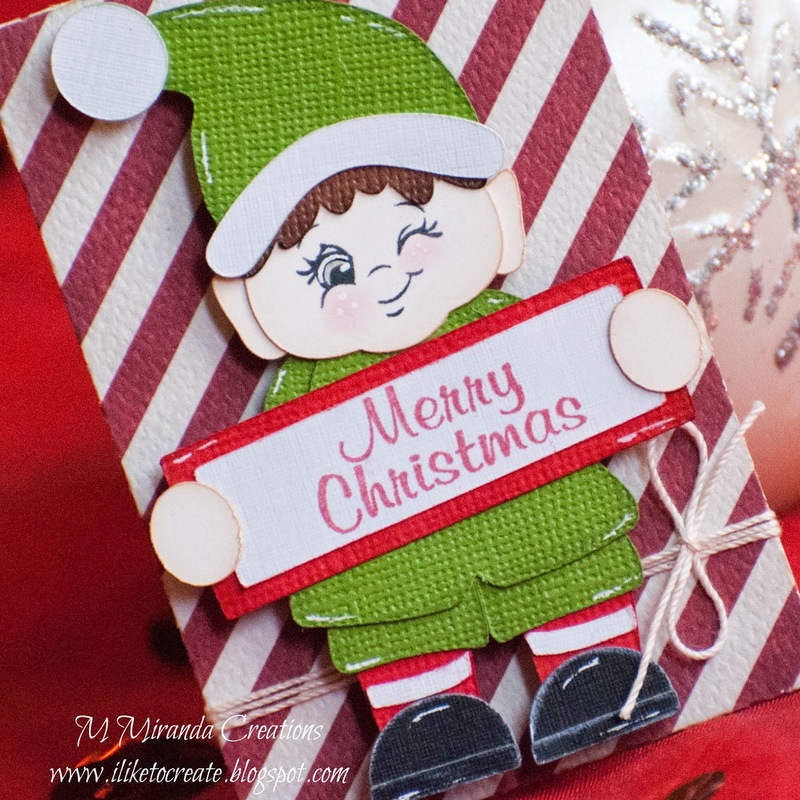 Well once I finished up the bag, I decided that the cute little elf guy would also make for a fun Gift Card Holder; so back to the crafting table I went. 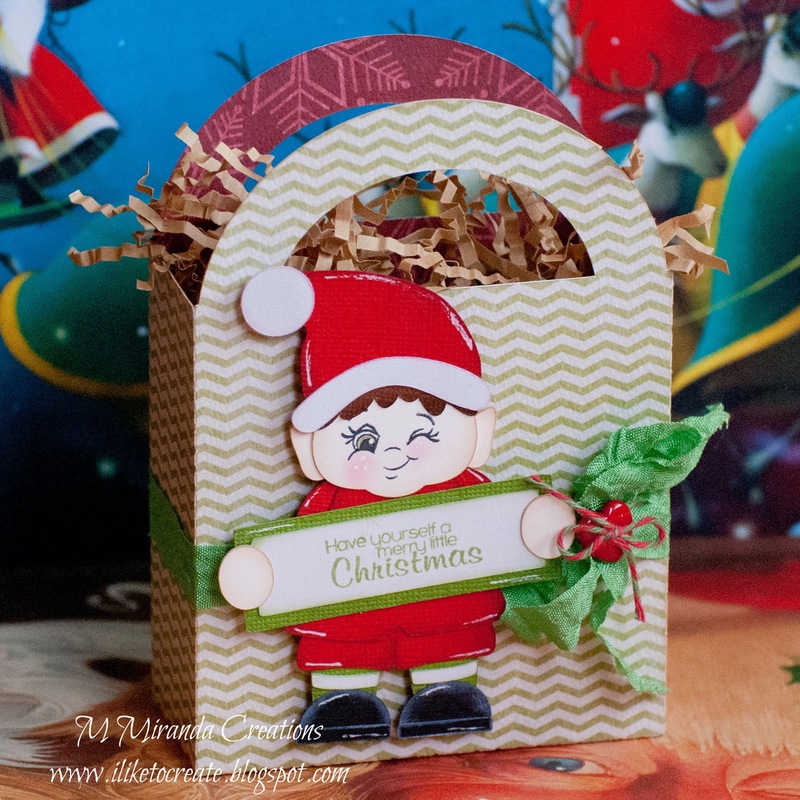 I used another stamp on this project from the Jaded Blossom Christmas Wishes stamp set. I really like the fonts on these stamps and find myself returning to this set over and over again. Super cute! Love that little elf!! He is a cutie! I too love the font for this stamp! I've wrapped all my box size presents and am left with things that need bags... you have inspired me! I love your project and great job! Love this! So cute! Thanks for sharing. I love that face on your elves. So cute! Love the elf and what an adorable face on him. So adorable! Love that cute elf holding a sign. OMG! too stinking cute! Love this! Super cute and fun bag and gift card holder. I love the sentiment the little elf on the bag is holding. Great job! What a cheeky elf! Love them both. Congrats on your GDS! They are both ADORABLE!! Awesome job my friend!! Aaaw, this is just adorable! Congrats on your GD spot! This is ADORABLE!!! LOVE how he's holding the sign! Great bag. Love that cute little elf with his sign. Super cute gift bags Melissa! 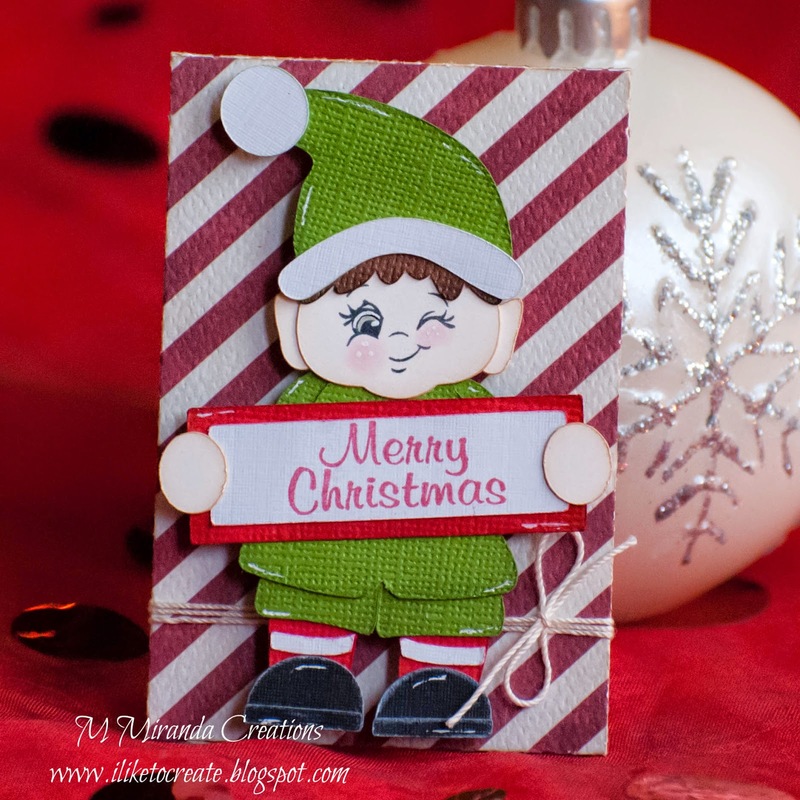 Adorable little elf...love the bag and the matching card! awesome card and treat bag. Looks great! too stinking cute! love the little faces..... just adorable! Thanks, everyone! I really appreciate all the encouraging comments! So adorable-- love the faces--so stinkin' cute!